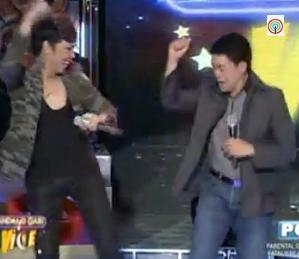 SENATOR KOKO PIMENTEL guested on the comedy show ‘Gandang Gabi Vice’ last Sunday. The re-electionist senator sang a Billy Joel hit and gamely performed the latest dance craze – PSY’s hit single Oppa Gangnam Style Mo Bulok! During the interview, Senator Koko Pimentel revealed that he’s a Math major in college. 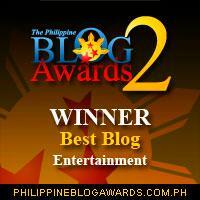 In fact he taught us a math lesson that evening: Popular TV Show + Song and Dance Number + 2013 Elections = Alam Na! If recent surveys are any indication, starting next year, the Senate will have two Cayetanos, two Estradas, and two Enriles. And that’s too much! Next year, there will be two Cayetanos, two Estradas, and two Enriles in the Senate. How do you explain such travesty to the little children? 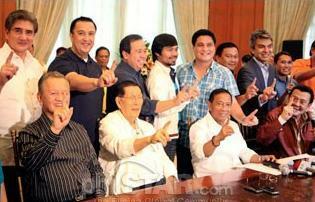 One of Bicol’s political dynasties, the Villafuertes are still feuding. The senior Villafuerte wants to divide Camarines Sur; the junior Villafuerte wants to keep it intact. I didn’t know they own the province. Have you seen the Liberal Party slate for next year’s 2013 midterm elections? It’s everything but Liberal! Did you hear the news about the gun-toting incident at Colegio San Agustin? Here’s a backgrounder: Boy 1 repeatedly bullied Boy 2. Boy 2 thought he’s had enough, retaliated and stabbed Boy 1 with a pen. Then came the bully’s father, Allan Bantiles who stormed the school premises, confronted and slapped the 16-year-old bullying victim and pointed a .45 caliber at him. The incident happened last month but the police has yet to charge the suspect. In other news, Colegio San Agustin has just been declared “The Most Gun-Friendly School” in the metro. Congratulations! Gun-toting suspect Allan Bantiles has declined to grant media interviews and refused to face journalists. Unless the journalist is 16-years-old. According to the latest Social Weather Stations survey, fewer Filipinos think that they are poor. Sus, gutom lang ‘yan. Several groups have asked the government to ban the public exhibition of the controversial film “Innocence of Muslims,” which, they described as offensive. I hope they do the same thing to the movies of Mikey Arroyo and Manny Pacquiao. According to reports, a fragment of a faded papyrus from the fourth century suggests Jesus Christ may have been married. And the best way to validate the claim is to gather first-hand information. Let’s ask Senator Enrile. 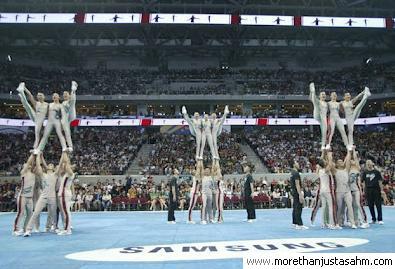 Congratulations to the UP Pep Squad! You’ve made 8 happen! Woohoo!!! Examples – bam aquino, nephew of noynoy, cousin of president. Meaning – Giving plum jobs to incompetent relatives. Basic principle of filipino politics. will joel not go insane if noynoy will tell him that he is already out? what does ” within 150 years of his death ” means, that Jesus was dead for 150 years? And 8 more months of it – for some. My tour of duty is nearly over. Thank you Rudy. I missed that one. 🙂 Salamat. Previous Previous post: LIGHT BULB JOKES, ANYONE?